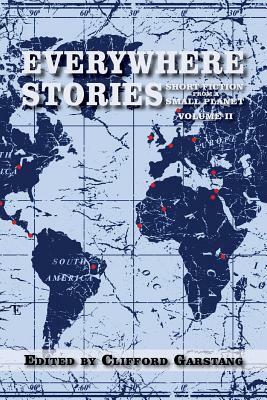 In Volume I of Everywhere Stories: Short Fiction from a Small Planet, we discovered that it's a dangerous world. We ran from a herd of wild boar in Germany and a biker gang in New Zealand; we fought cancer in Russia and a rogue militia in central Africa; we survived thieves in Costa Rica and Hurricane Katrina in New Orleans; and we endured a terrorist attack in Israel and overzealous security guards in Beijing. The twenty stories in that volume took us to all seven continents and introduced us to the fine work of twenty excellent short story writers. Putting together Volume II, we've come to realize that it's still a dangerous world, but it's also a mysterious world. What's going on in that hotel in Egypt or that oasis in Mali? Does that Korean monk really have the ability to predict the future? What about the shopkeeper in Panama? Where does the little Turkish boy get his great strength? Is there something special about the man who makes artificial eyes in Guatemala? What is the source of the Kenyan warrior's tranquility? What motivates the visiting teacher in Samoa? It's a mysterious world, all right, and we've got twenty more stories from twenty terrific writers to prove it.